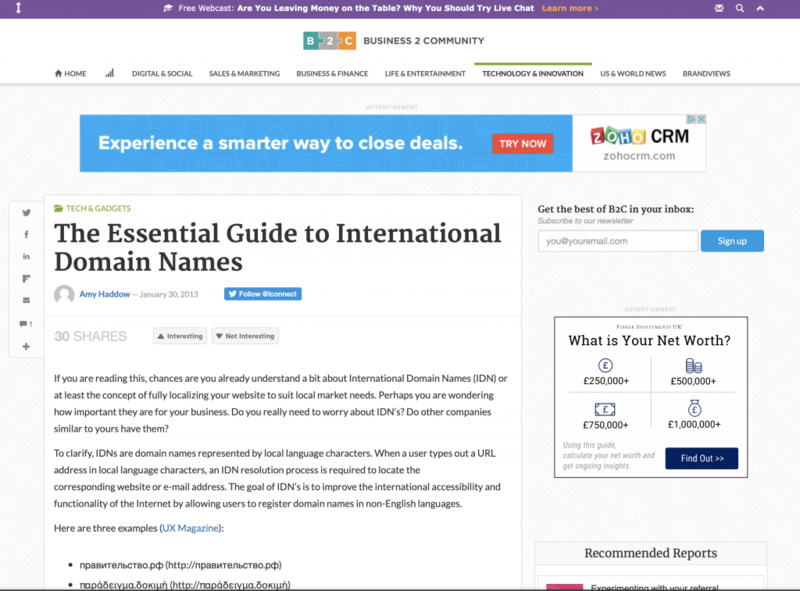 If you are reading this, chances are you already understand a bit about International Domain Names (IDN) or at least the concept of fully localizing your website to suit local market needs. Perhaps you are wondering how important they are for your business. Do you really need to worry about IDN’s? Do other companies similar to yours have them? China now has 564 million internet users and an internet penetration score of 42.1% according to the China Internet Network Information Centre. Populations will naturally perform internet searches in their native language – this is where localization plays an essential part in your online success. Adoption of an IDN is just one element of localization, but an essential one. Without ensuring your site is as searchable as possible, additional localization efforts will come to nothing as traffic will not be driven to your pages.